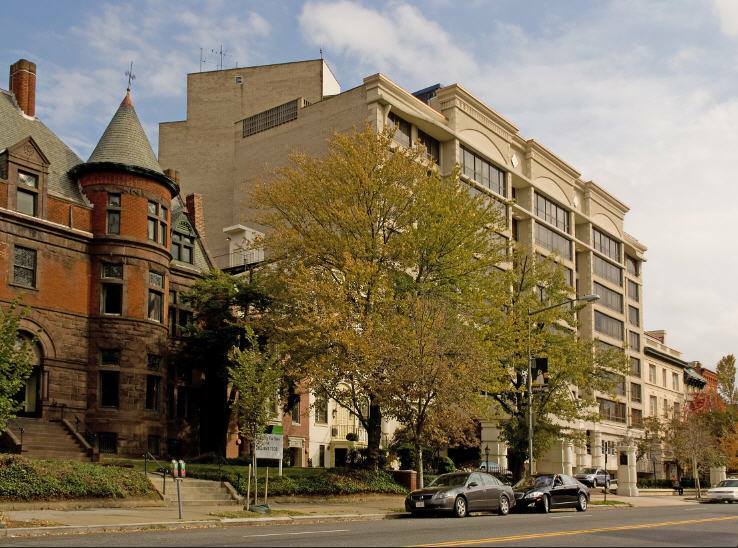 The Embassy Row Hotel is located in the heart of Washington DCs Dupont Circle / Embassy Row. The elegant European influenced boutique style hotel is surrounded by first class dining, shopping, entertainment and METRO. Each guest room is beautifully decorated to reflect warmth and charm. All hotel rooms offer high speed internet access, coffee makers, hair dryers, irons and ironing boards. For guests demanding the highest level of comfort and service, we offer an Executive Club Level featuring complimentary breakfast, turn down service, bottled water, robes, CD players and evening hors d'oeuvres. Our Hotel restaurant services a breakfast buffet 7 days a week and an extensive lunch buffet Monday - Friday. Our intimate lobby lounge features evening cocktails and light fare. Guests will appreciate hotel facilities such as the exercise room, business center, outdoor pool and high speed internet access The Embassy Row Hotel is just 1/2 block from METRO, Dupont Circle / Red Line. The hotel is a few minutes from the White House, Washington Monument, WWII Memorial, The Phillips Collection, The Capitol, The Smithsonian Institute and many other museums and historical attractions. The hotel is also within walking distance of over 100 Embassies. Ronald Reagan Washington National Airport is only 5 miles away. For guests traveling by rail- there is convenient access to Amtrak/Union Station. The hotel also features 10 function rooms and can accommodate weddings up to 150 people. Warm hospitality and exemplary service on Embassy Row.